Here's a blue-ribbon grabber that goes great guns in the garden, too. 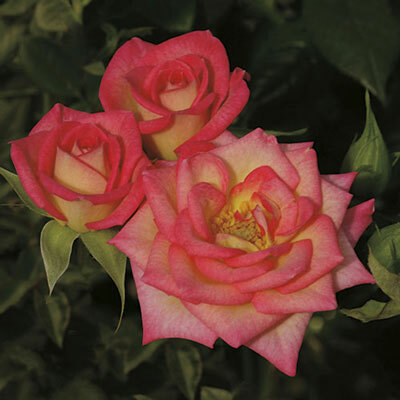 Perfectly miniature-ized Hybrid Tea shaped buds of cream open very formally with several blushing shades of pink. But beyond the show table, this baby will knock 'em dead in the landscape with a bushy flowerful plant you can tuck into smaller spaces to create a riot of color. Loads of deep glossy green leaves provide the perfect background for the ever-changing show of plentiful pinkness.